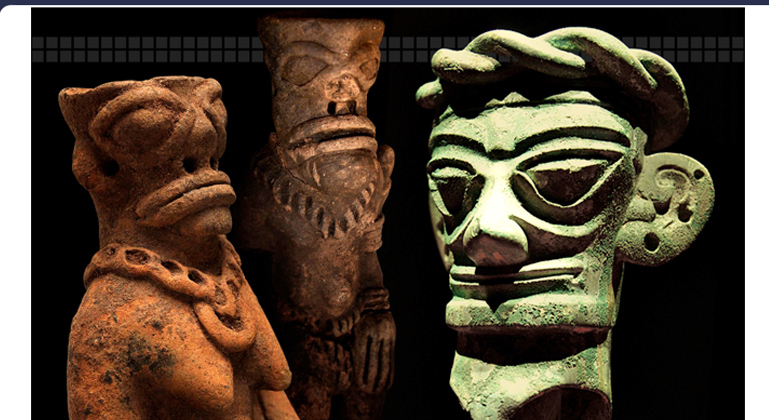 Ancient statuary from all over the world reveal reptilian influences, especially figurative sculpture traditions from West Africa. 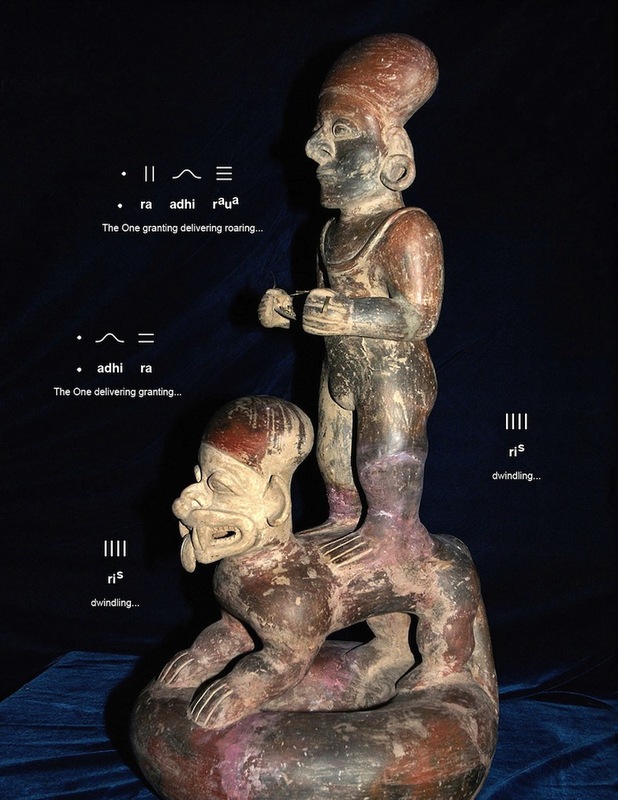 Less well known than the refined bronzes of the Ife culture, the Nomoli geopolymer stone figurines from Sierra Leone are ~17,000-13,000 years old and present the same species of giant reptilian humanoids seen at Sanxingdui, China (above), crowned by the DNA double-helix and riding elephants. The scaly texture of reptilian skin is shown by rows of squares that, like the elephant itself, reference Indra: Jupiter. 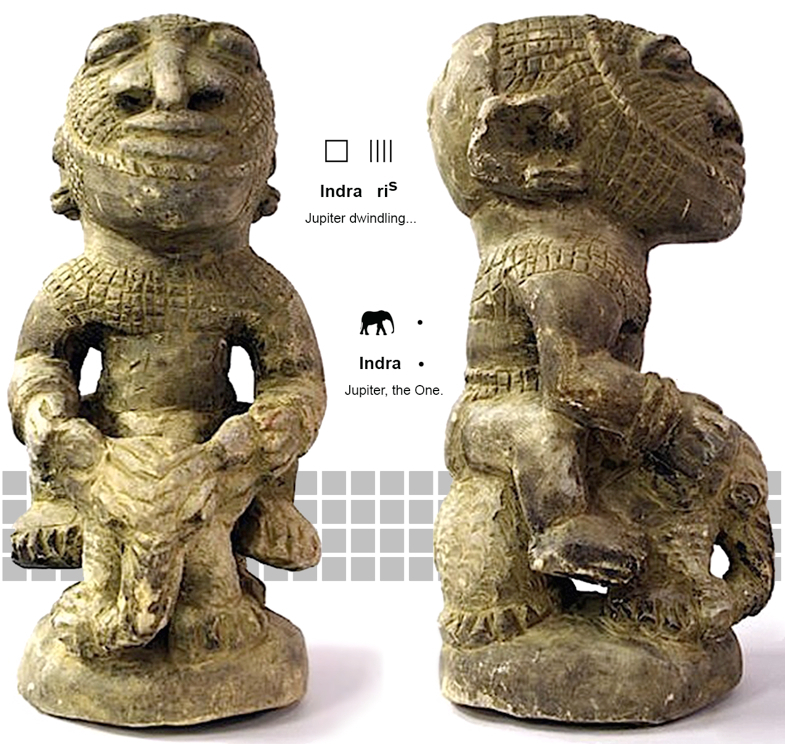 Belonging to the Paleolithic culture, the cast stone votive figurines of Sierra Leone and other regions of Central Africa are matched in style and design by later cultures during the Holocene period, yet clearly lacking the technical skill of the Atlantean craftsmen. 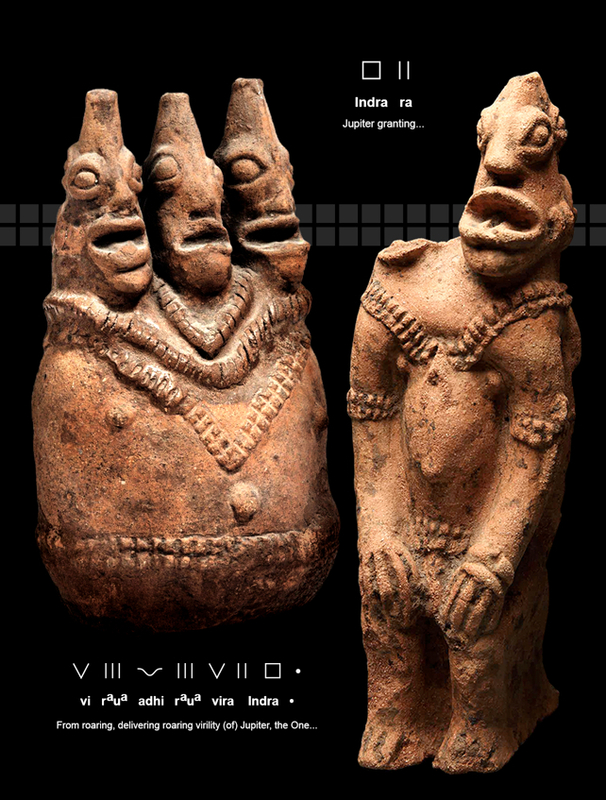 Votive figurines created by the ancient Nok culture of Nigeria and the Sao culture of Chad and Cameroon were simply manufactured from fired clay, yet still display the use of Paleo-Sanskrit votive sncriptions that are an essential element of the older examples. 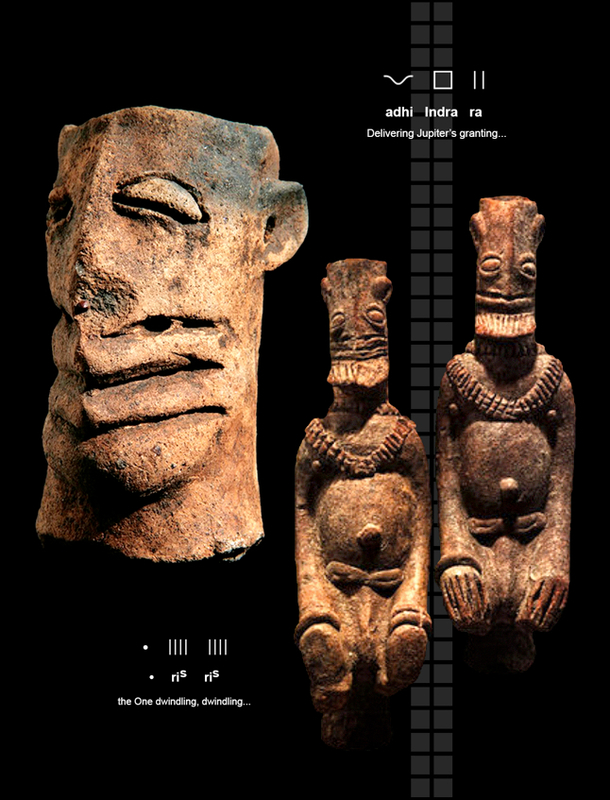 The ancient artists' special attention to reproducing the highly unusual facial and anatomical features of the giant reptilian humanoids provide a great variety of solutions to the challenge, each one capturing the same exaggerated eyes, lips and scaly ridges that inspire fear in extraterrestrial abductees worldwide. 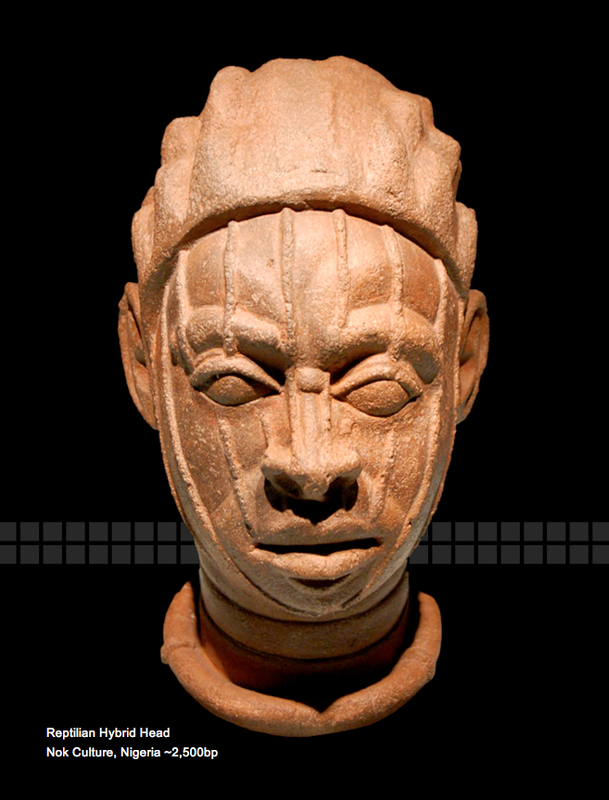 The same specific, detailed iconography dominates the artworks of the ancient mound-building ancestors of the Koma people of Northern Ghana. 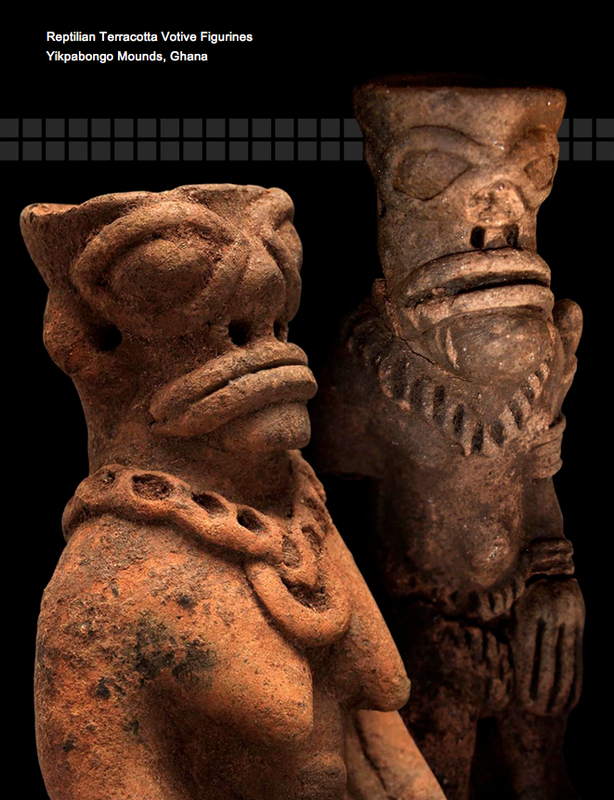 Excavation of small mounds and archeological trenches in the vicinity of the town of Yikpabongo uncovered hundreds of reptilian terracotta figurines (below) and human bones altogether disposed of in mounds and pits ~3,100bp --exactly the same circumstances seen at Sanxingdui! The Yikpabongo Mounds, Ghana (10.241°N 1.567°W) are located 2,505 miles from Giza, or 10.06% of Earth's mean circumference, in an area known for clusters of megalithic standing stone circles identified decades ago (Anquandah, 1987). 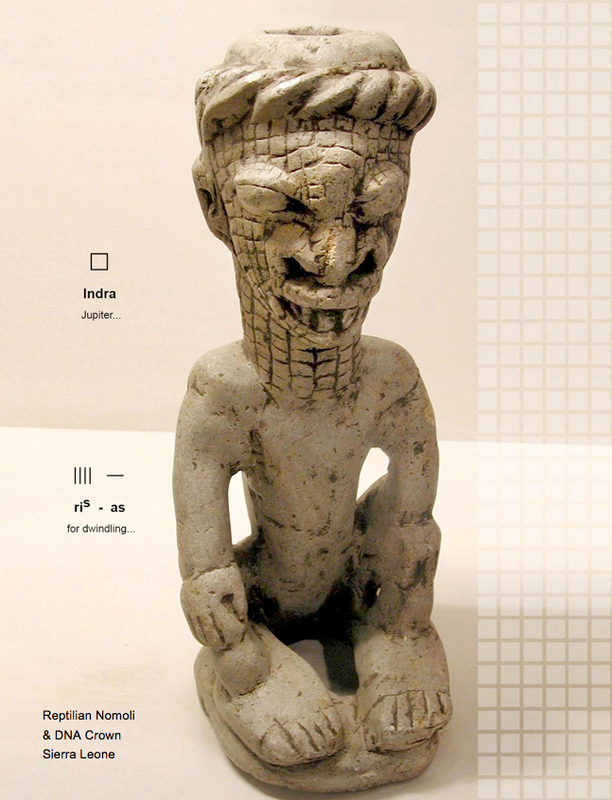 The consistency of the Koma reptilian humanoid figurines with the contemporary Sanxingdui bronzes conclusively demonstrates a unified cultural phase in Asia and Africa. 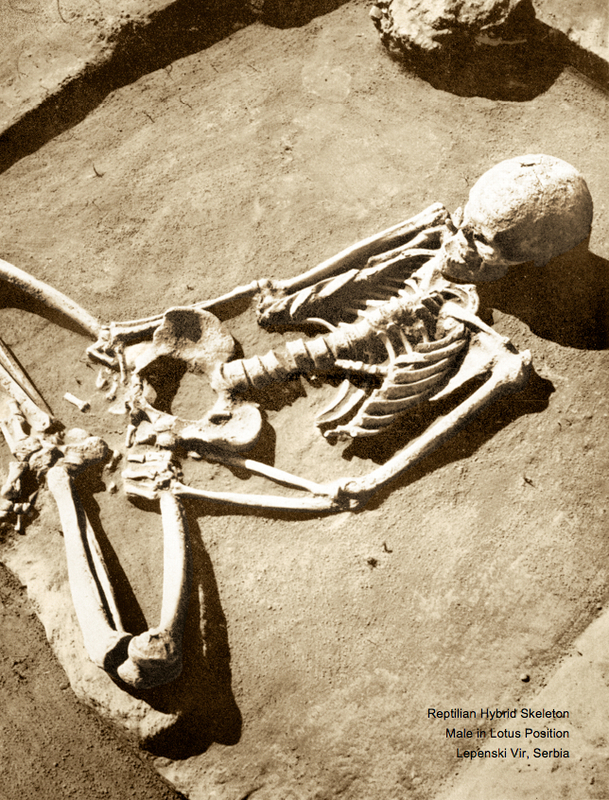 All documentation concerning rare archeological findings of giant skeletal remains of reptilian humanoids has been repeatedly stolen, hoarded and controlled by monarchies and their government institutions for many centuries, yet a few examples of apparent reptilian/human hybrid skull specimens have been collected, dated and properly reported in the journals of anthropological science. One such specimen is a fragmentary reptilian/human hybrid skull recovered near present-day Hofmeyr, South Africa that displays the slightly more gracile features of a female (below, left). Sand grains from within the cranial vault yielded thermoluminescence values corresponding to an age of ~36,000bp. 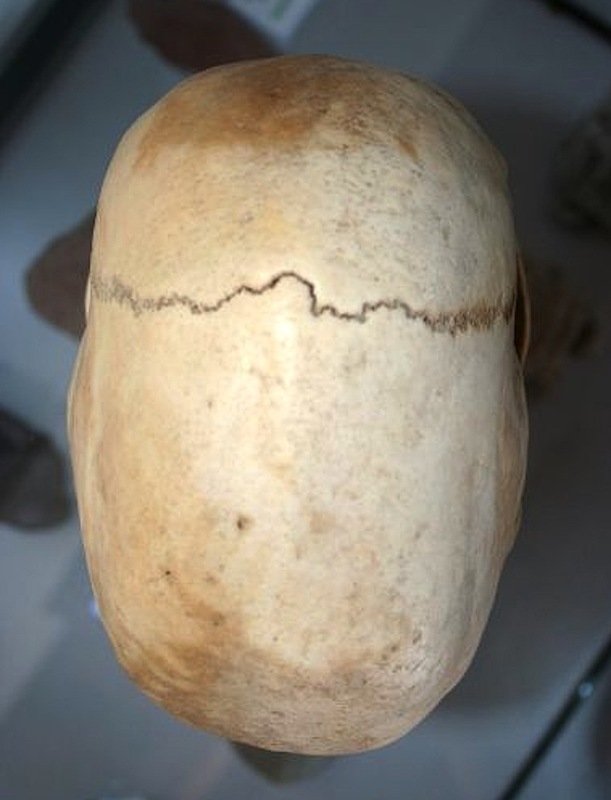 Despite suffering the bite marks of large predators, the very broad, flat facial features of this female cranial fragment may indicate a human mtDNA lineage belonging to the oldest recognized human haplogroup, type L0d2a of the South African Khoisan people, also known as the San. The post-mortem fracture to the right brow exposed the porous structure of the bone ridge that represents a distinctive type of cancellous bone that is a hallmark of reptilian species, comprising the boney bumps on an alligator's back and the exotic display features of dinosaur species. 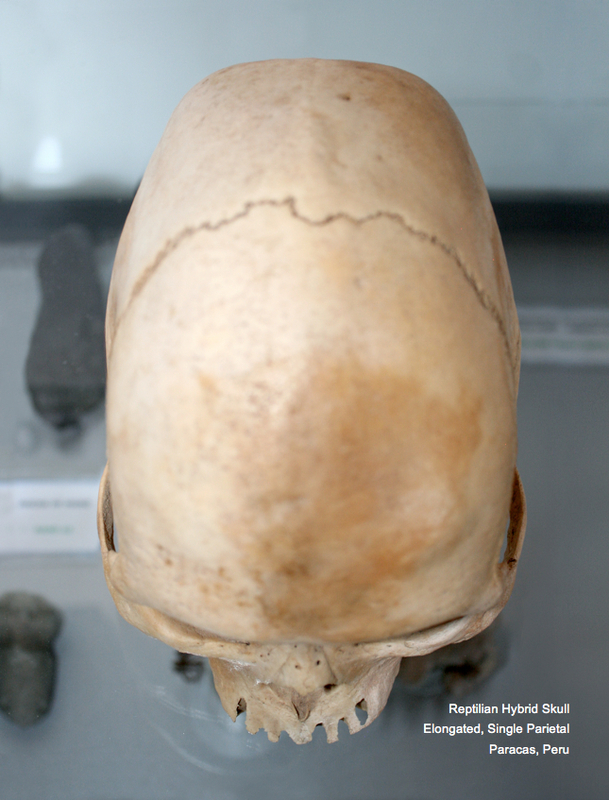 The same spongy reptilian bone is also observed on the brow of the reptilian/human hybrid skull from the necropolis at Alacao, Ecuador. 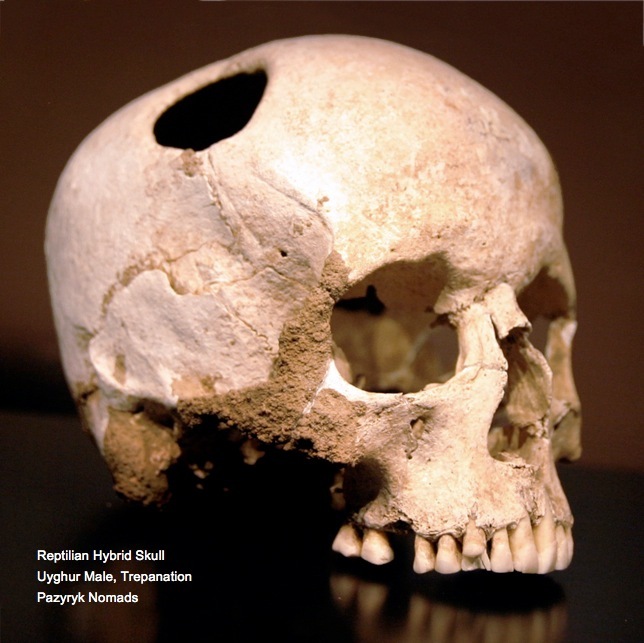 The unusually cancellous quality of the heavy brow bone is reflected throughout the cancellous interior structures and proportions of the rest of the skull, showing bone thickness that exceeds human norms. 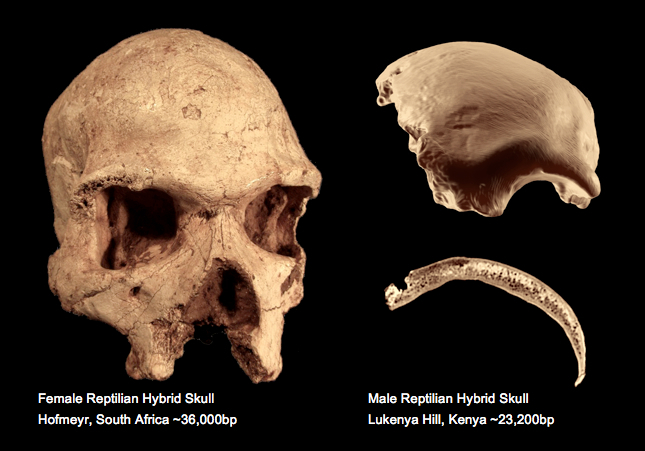 Another noteworthy reptilian/human hybrid skull from the Late Pleistocene is the frontal bone of a male specimen excavated with an assortment of flaked bifaces and bladed cores from Lukenya Hill, Kenya (above, right). Eggshell fragments near the skull returned RC-14 dates corresponding to ~23,200bp. Cross-section of the Lukenya skull frontal bone reveals extra thickness and an inner cancellous layer. 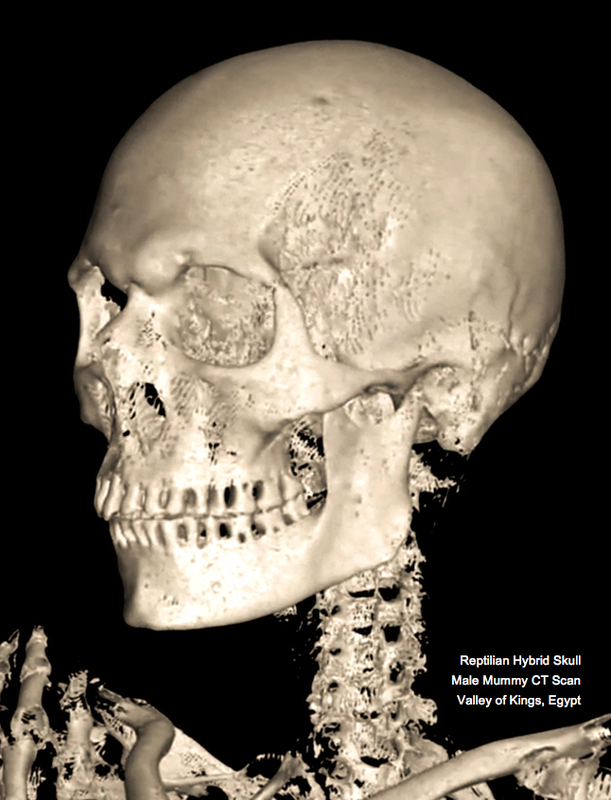 Archeological finds dating to more recent periods of human history present the same distinctive combination of craniofacial features that surprised anthropologists studying the African hybrid skulls. 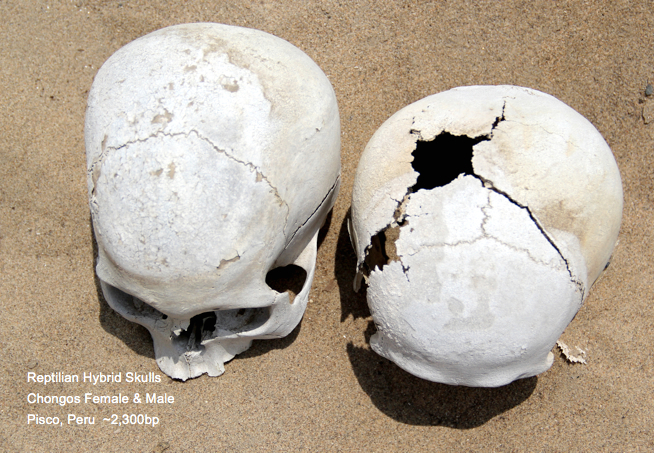 The dry desert sands of the Chongos necropolis, situated in the Pisco River Valley north of Paracas, Peru, have yielded many exquisite examples of female and male reptilian/human hybrid skulls (below). The more complete female specimen (above, left) displays no visible suture between the fused parietal plates, whereas the male presents a well delineated suture between the parietals. Both hybrid specimens display extremely brachycephalic configurations, with the heavier brow of the male (above, right) being unmistakable. The experimental hybridization process indicated by the remarkable features of these royal Chongos skulls included specialized psychoacoustic techniques for achieving biorhythmic synchronization in subterranean chambers, inducing neurogenesis; generating enhanced neural architecture and cranial volume. 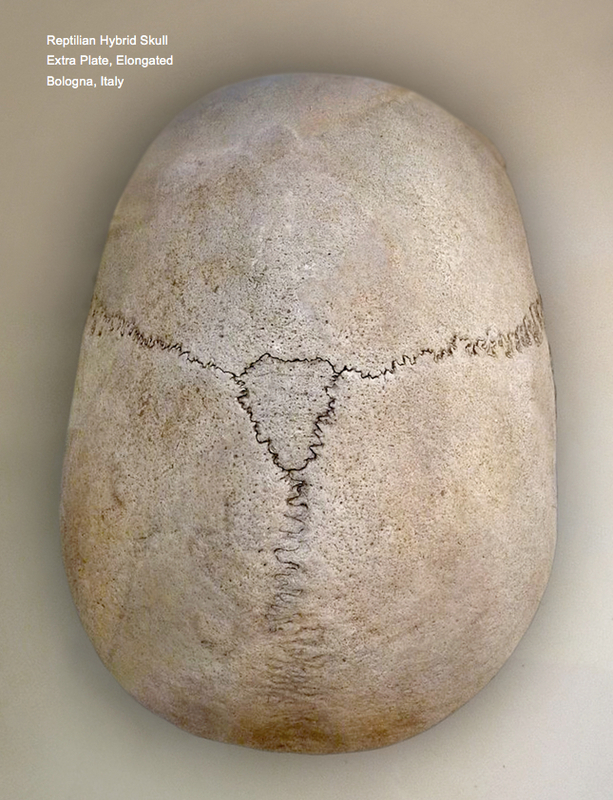 The highly symmetrical forms of these Chongos hybrid skulls correspond to the shaped contours of psychoacoustic metal helmets that were used throughout ancient pyramids and temples worldwide. Skeletal remains of exotic reptilian/human hybrid rulers from Peru display the same features seen among the Late Paleolithic African examples, and find analogous sets of gold-laden royal burials in Asia Minor and the Near East. 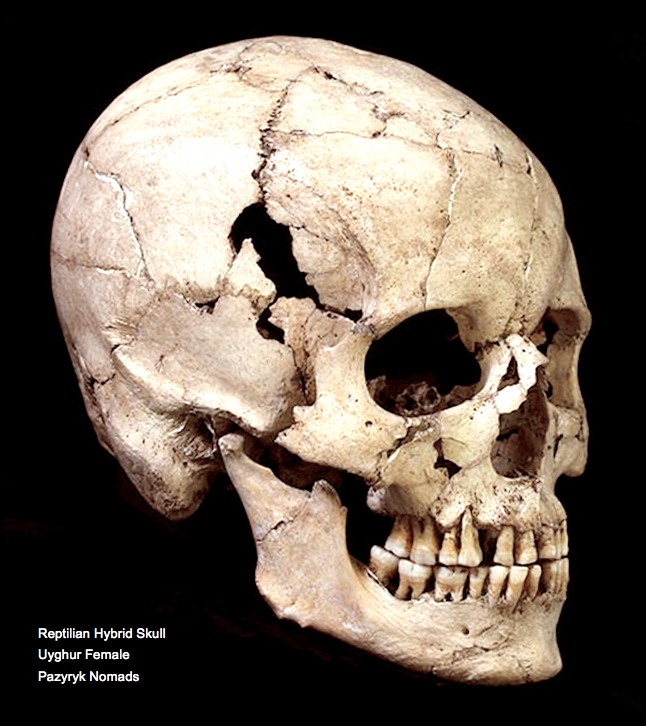 Brachycephalic reptilian/human hybrid skulls were also excavated at the Byuran site of present-day Armenia, as well as the Tillya Tepe burial site located in present-day Afghanistan. 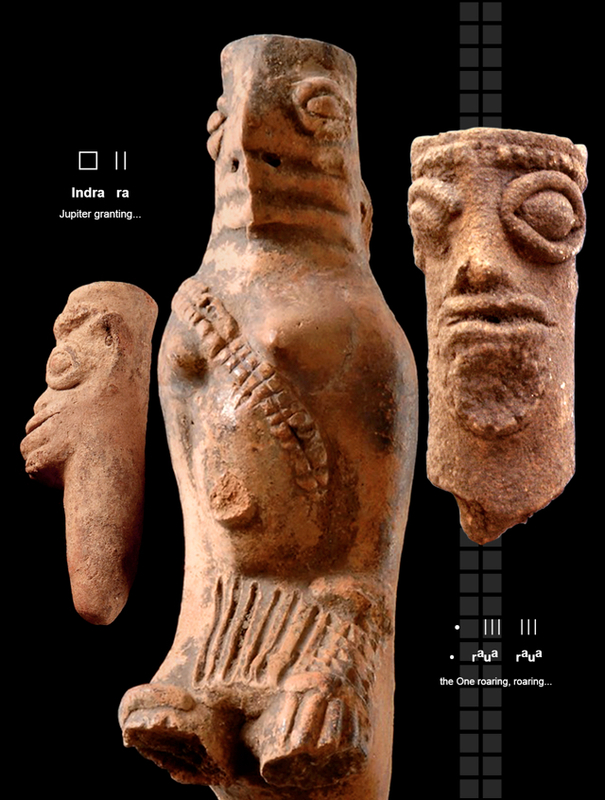 Terracotta traditions in the Near East have become famous for explicit representations of giant reptilian humanoids in small figurines of the Ubaid culture. 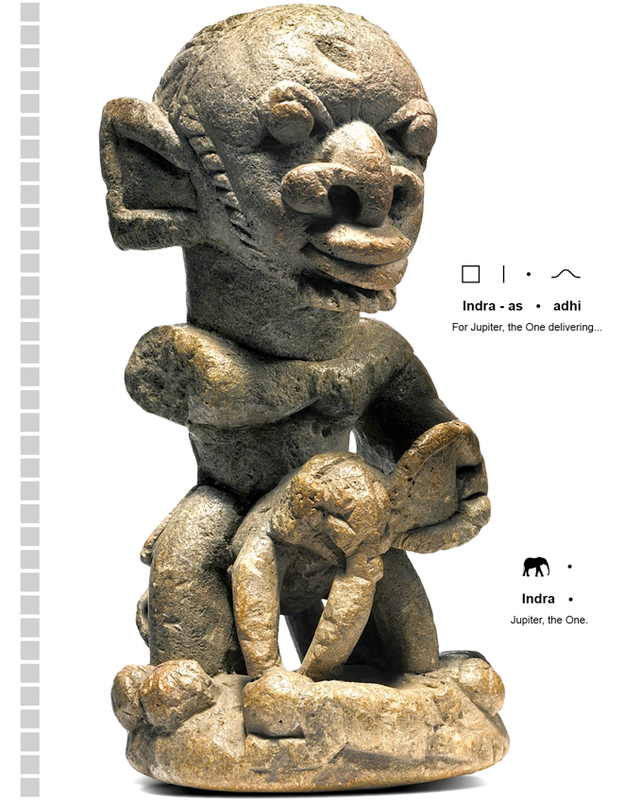 A female figurine with nursing infant displays very wide shoulders and narrow hips with glyph texts reading: * upama-as vi raua , meaning "The One..., for the highest from roaring..." (above). 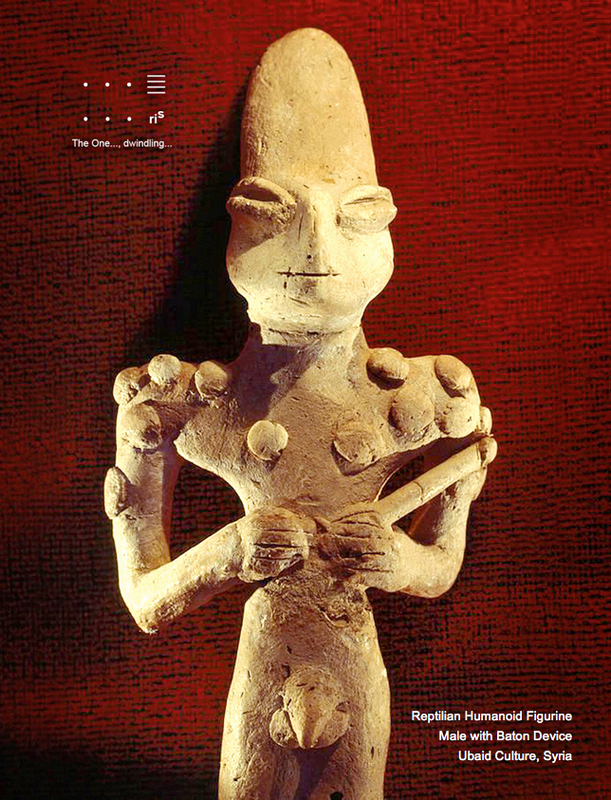 A matching male reptilian figurine holding a baton device bears the simple hieroglyphic phrase: * * * ris , meaning "The One, the One... dwindling" (below). 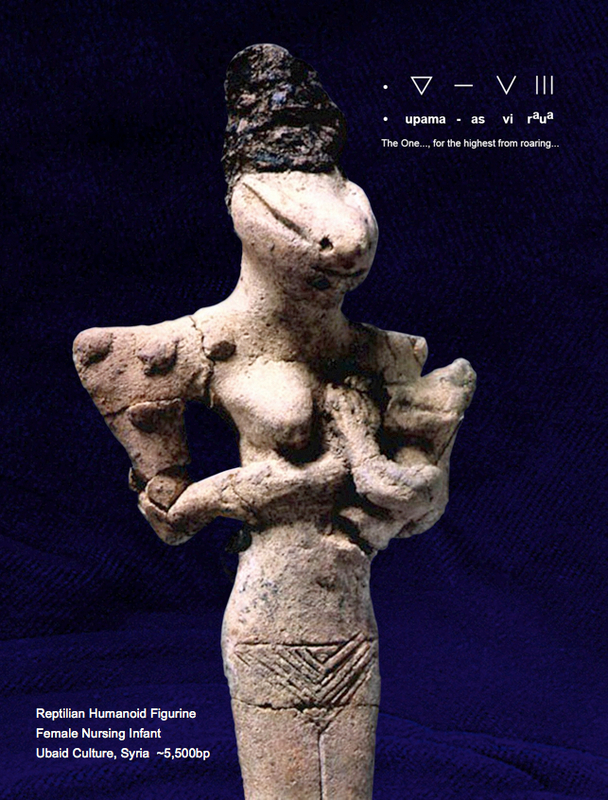 The much earlier Paleolithic period of reptilian cultural influence is also observed among the artifacts of the pyramid-building Ohm civilization of La Maná, Ecuador, including water vessels and psychoacoustic whistles that date to ~13,000bp, formed as reptilian figurines with fanged mouths and fully scaled bodies. Roaring and bearing fangs constitute overt references to the deceptive predatory nature of these giant extraterrestrial intelligences. This expression is reinforced by the paired reptilian figures' demonstrative hand positions. 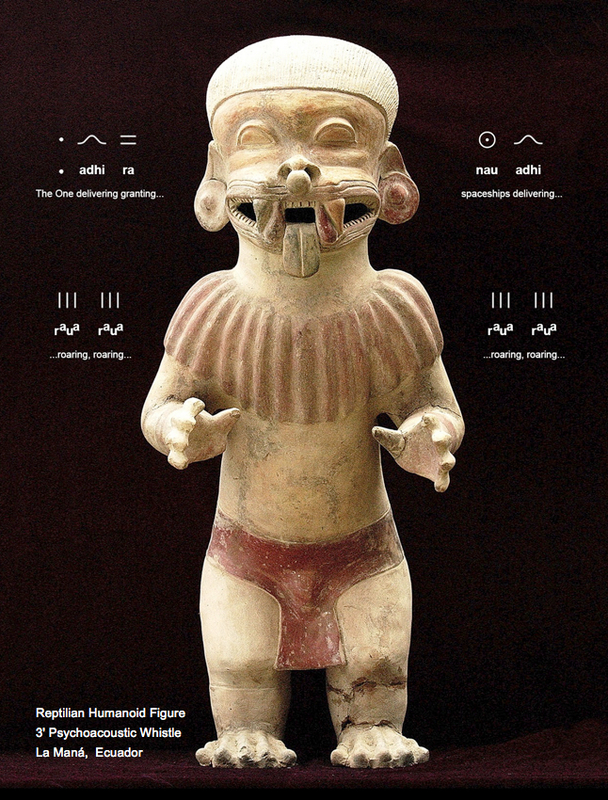 The largest reptilian vessel recovered at the La Maná Pyramid is a giant psychoacoustic whistle that stands 3' (92cm) tall and appears to be reaching out to take hold of its prey (above). 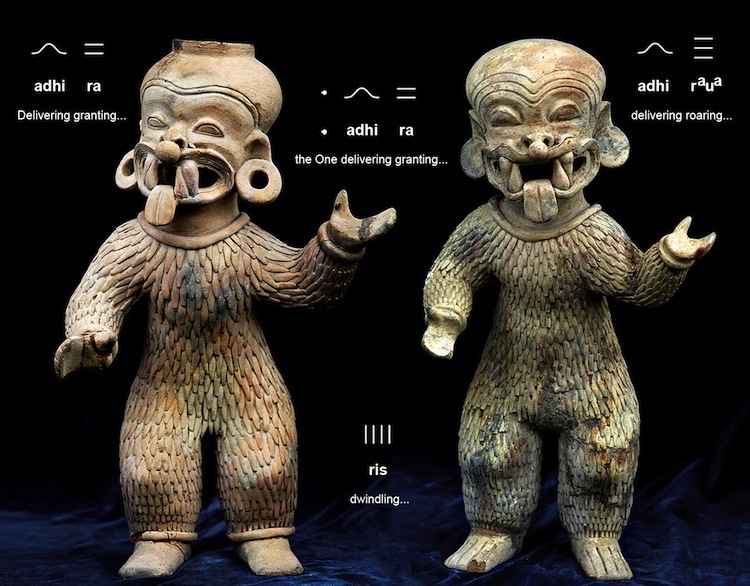 Hieroglyphic Sanskrit phrases are embedded in the pure forms of the reptilians' psychoacoustic helmets, reading: adhi ra , meaning "Delivering granting..." and adhi raua for "Delivering roaring..." (above). The roaring reptilians' gaping jaws and gold septum spheres together reiterate the same essential Atlantean votive phrase now identified all over the world: * adhi ra , meaning "The One delivering granting..."
Another remarkably complex earthenware vessel depicts a human standing on a reptilian figure, asserting dominance over the technologically advanced predator, offering an unambiguous statement concerning the Ohm culture's adversarial relations with the visiting giant extraterrestrial species. 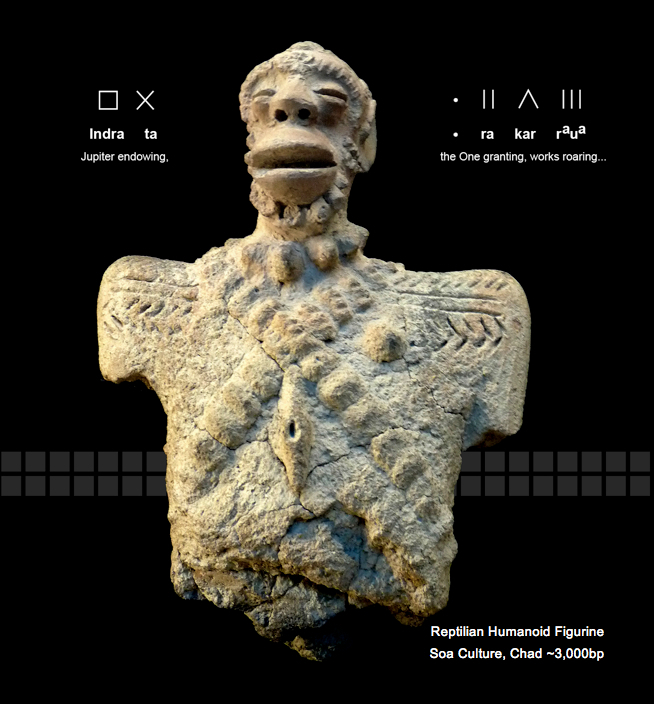 The broader cultural context offered by ancient artworks reveals successive waves of visitations by a reptilian species who collectively manipulated the Atlantean high civilization throughout its evolution, having induced 3 major destructions and installed a violent ruling class of giant reptilian hybrids for subjugating populations on all continents using narcotics, possession, ritual sacrifice and cannibalism. 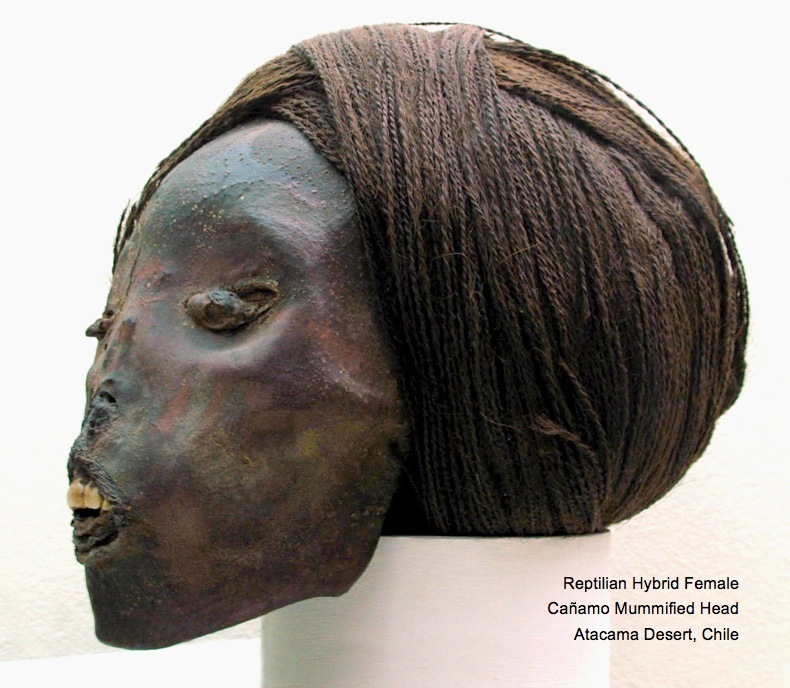 A Cañamo woman from the Chilean Atacama Desert mummified ~3,200 years ago displays strong hybrid reptilian cranial features, belonging to the giant ruling class that ran high-volume cocaine and tobacco production and trafficking operations for the Pharaohs of Egypt. This fact was verified by intensive study at multiple world class forensics labs after denials by government-paid 'experts' and successive cover-up documentaries obfuscated the initial findings, as typically occurs with politically 'sensitive' subjects. Coca leaf chewing has been an integral part of daily life among Andean societies for more than 30,000 years. However, chemical processes for manufacturing the highly addictive narcotic form as cocaine first appeared during the Atlantean period among the followers of Baal for inducing negative spirit possession. 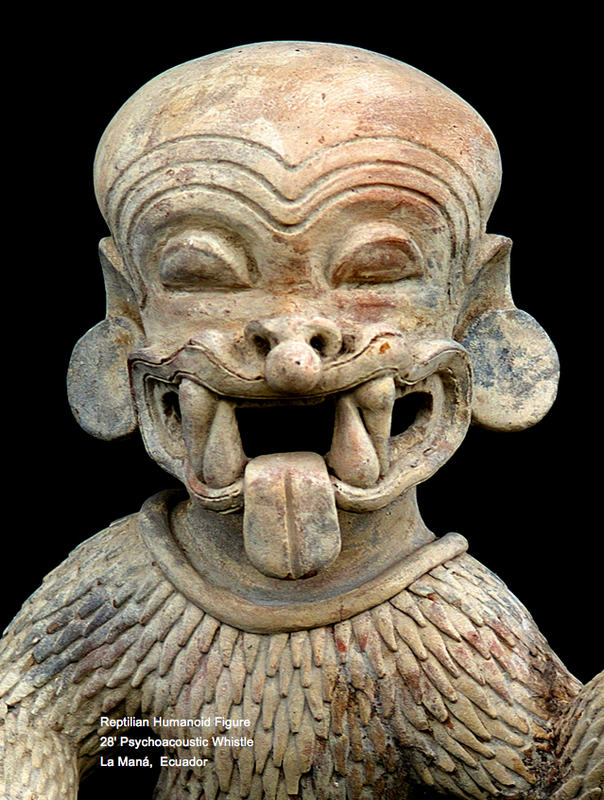 Pervasive cocaine consumption among the hybrid ruling class is confirmed by the many grave offerings of snuff trays and bird-bone snuff tubes found at Andean sites like Paracas, Peru and Tiwanaku, Bolivia, in direct possession of giant humanoid skeletons, often mummified with their hair twisted into long dreadlocks. Thousands of reptilian/human hybrid skulls have been discovered and collected by governments and their strictly controlled institutions like the Smithsonian, who continue to orchestrate the worldwide cover-up of an exoplanetary mass hybridization project undertaken by reptilian genetic engineers during a 240-year period of experimentation extending from ~3,300-3,060bp. Fortunately, this hybridization project failed. 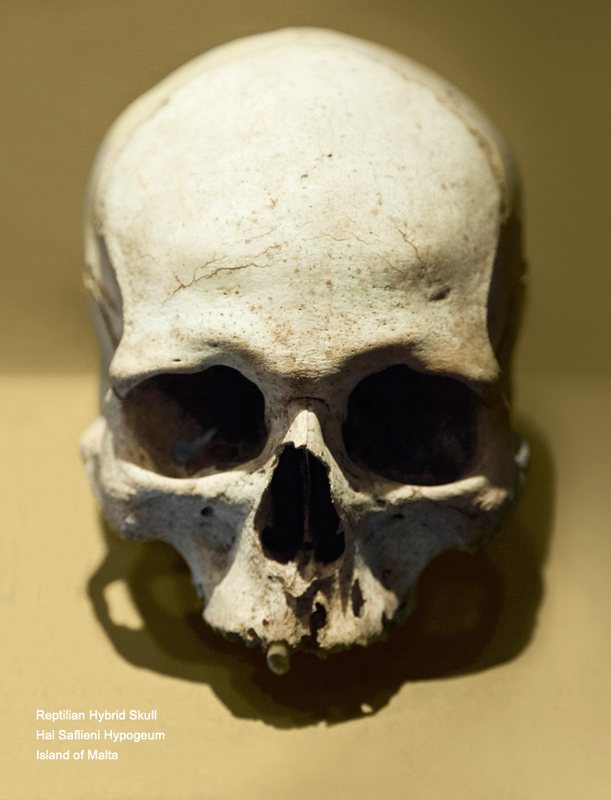 The giant proportions of most of the skulls from the ancient royal cemetery excavated at Paracas, located in the coastal deserts of present-day Peru, have never been properly analyzed or critically examined by anatomists. 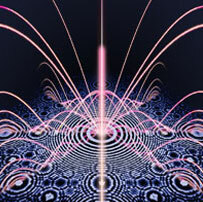 Psychoacoustic enhancement of cranial volume is responsible for extreme elongations witnessed at all pyramids, subterranean chambers and cavesites where this experimentation was done. 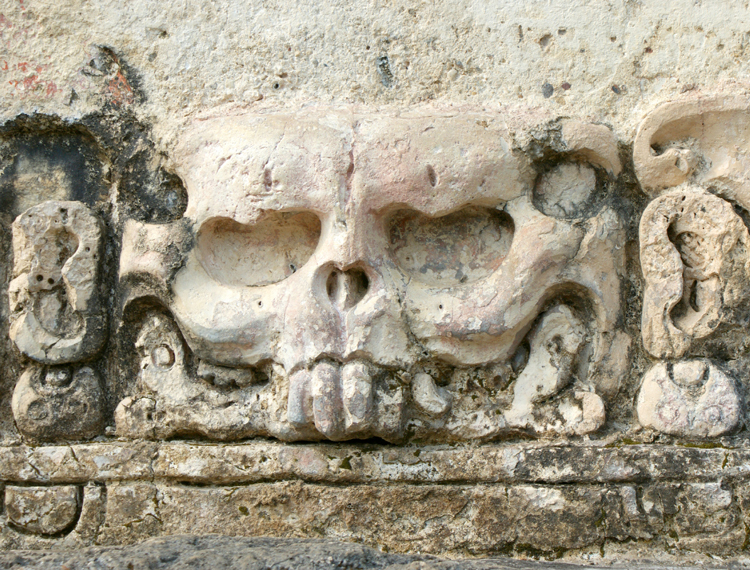 The highly distinctive brow features of reptilian hybrid skulls were sculpturally rendered in a fine stucco relief carving at the sacred Maya pyramid site of Palenque, in present-day Mexico (above). Palenque, Mexico (17.48°N 92.05°W) is 7,444 miles from the Great Pyramid, comprising 29.90% of Earth's mean circumference and approximating the resonant 30% Fibonacci distance band reflecting the golden ratio. 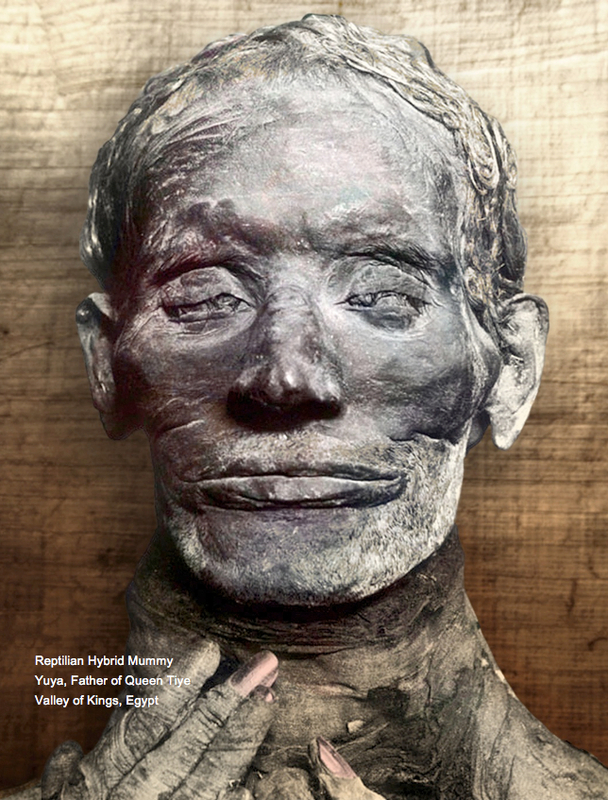 These immediately recognizable reptilian hybrid brow ridges are plainly evident on the ~3,100-year-old royal Egyptian mummy of Yuya, father of Queen Tiye, showing an extremely wide mouth covering a large, square jaw (above). Government 'authorities' are busily disinforming the public on the highly sensitive subjects of exoplanetary royal hybrid genetics and cocaine, promoting the latest government-controlled royal DNA study --headlined by photos of fake 'alien artifacts' blatantly insulting the reader's intelligence. 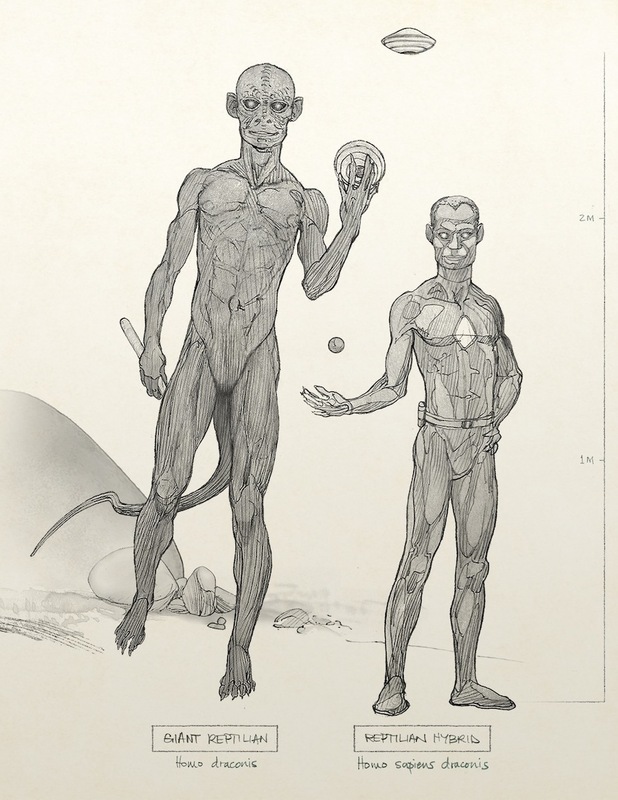 These new findings also implicate the cave-dwelling Dropas tribe of the Qinghai-Tibet Plateau as a rare surviving inbred line of hybrid dragon kings that once occupied the Atlantean caverns below Mt. Baigong. 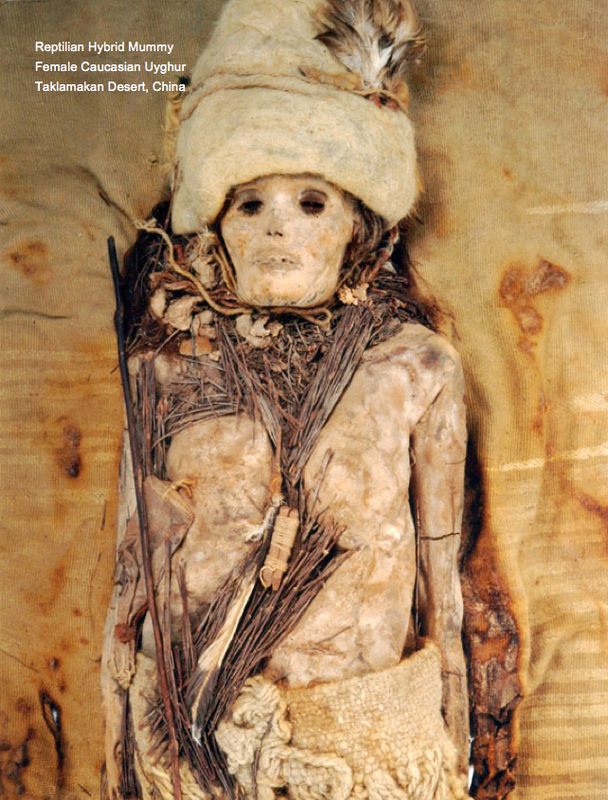 The same governmental coverup operation has suppressed DNA results from the hybrid Caucasian mummies of China's Taklamakan Desert (above), also dating to ~3,100 years ago, for which the public has only been shown misleading mtDNA sequence results. Skull morphology comparisons firmly establish the reptilian/human hybrid phenotype identified by the new species designation: Homo sapiens draconis. 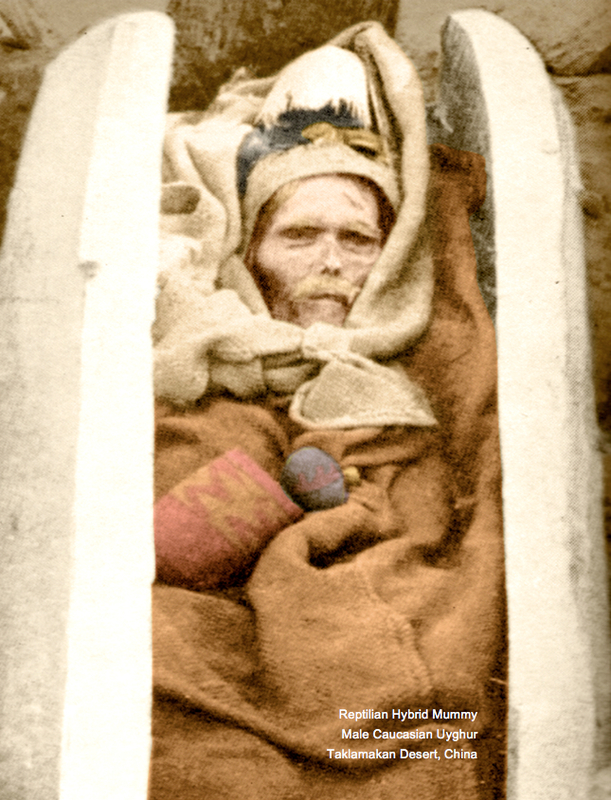 Genetic studies will eventually confirm what is quite obvious from distinct morphological traits presented by the scores of royal hybrid mummies preserved in Egypt, and the hybrid lineages of the horse-riding peoples of the Eurasian Steppe that include the Scythians and Pazyryk Nomads (above). 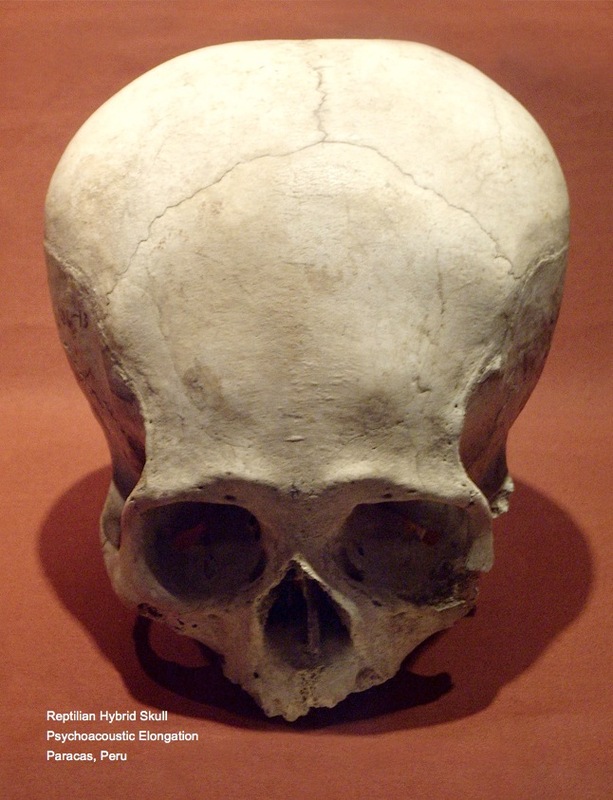 Extensive evidence for the violent lifestyle of these groups is witnessed by battle wounds and advanced neurosurgical procedures including skull trepanation found in every region of the world where these hybrid human/reptiod skull features are found; in Paracas, Peru, Palenque, Mexico and the Eurasian Plateau. Tattoo designs inked on the skin of causasian mummies from the Taklamakan desert and the Caucasian horsemen of the Steppe display several common motifs, especially the double-spiral design, the dragon, reindeer and the horse. Intercontinental links are found with the royal mummies of the Atacama Desert, who show matching spiral hand tattoos repeating the ancient Sanskrit mantra: mi-is , or "synchrony'. 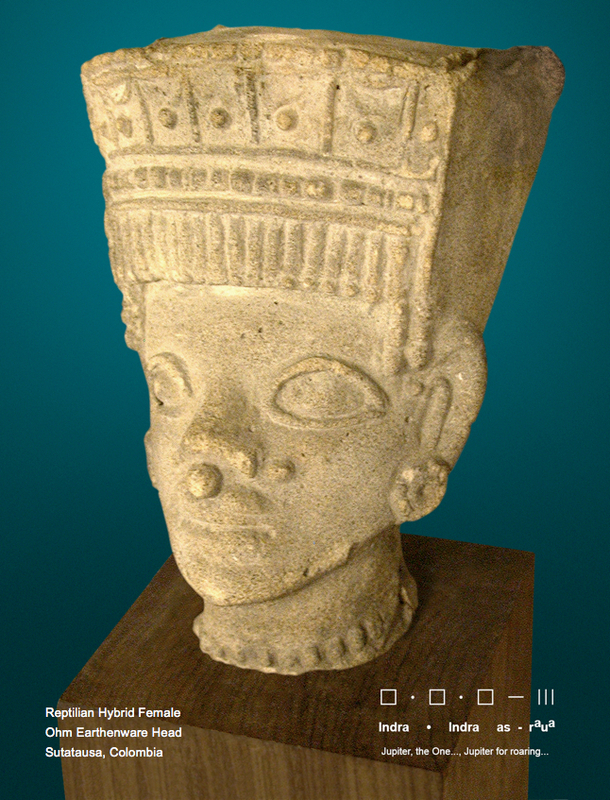 The Caucasian Pharaonic line of Yuya, a 'Master of the Horse', shares ancestry with the Pazyryk horse-riders. A reconstructed female skull from the Pazyryk reveals the same zygomatic and mandibular hooks for enhanced jaw musculature, as well as prounounced mid-brow ridges that are unmistakable reptilian humanoid characteristics (above). The very large proportions of these violent, control-driven groups of royal mummies and skeletons distributed all over the world is another clear genetic expression of their hybrid origin, possessing human mtDNA and giant reptilian humanoid heritage on the paternal side. 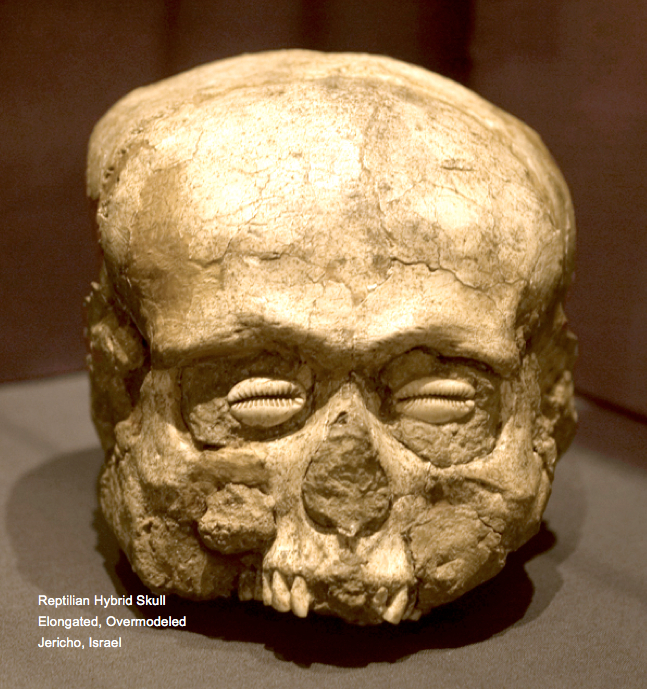 Reptilian/human hybrid skulls are also prevalent in Neolithic archeological sites throughout the Middle East, as exemplified by a large skull decorated with cowry shell eyes excavated at the ~11,000-year-old city of Jericho, situated in present-day Israel (above). DNA results from the specimen have not been released. 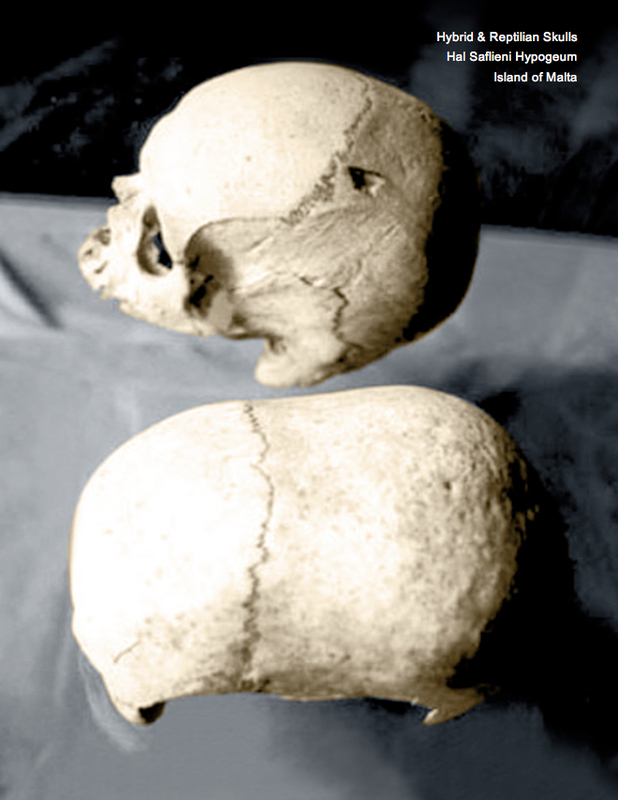 The same suppression of genetic findings surrounds the tall hybrid skeleton excavated at Lepenski Vir, Serbia dated to ~8,000bp (above), as well as hybrid skulls discovered on the Island of Malta (below). Comprehensive whole genome surveys of these well-known museum collections will inevitably confirm what government studies must have surely discovered decades ago: that giant reptilian humanoids have revisited Earth conducting mass hybridization projects, ruling humanity through their hybrid dragon kings.